In 2017, we were named an 'Export Champion' by the UK Government's Department for International Trade (DIT) North West. The responsibility of the Export Champions is to spread the word about the benefits of international trade. 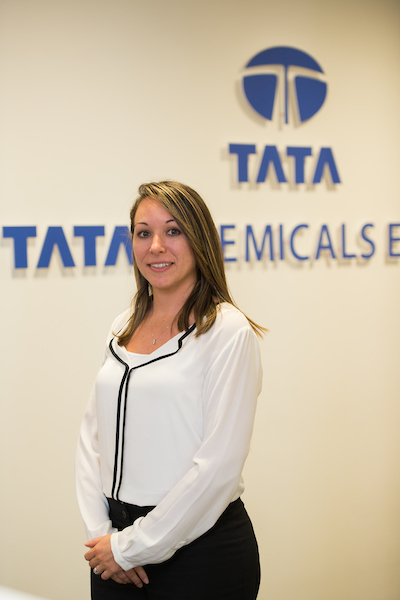 Exports Account Manager Cristina Velasco has represented Tata Chemicals Europe at official events throughout our role as an Export Champion. Our sales teams can be found exhibiting and attending industry exhibitions around the world throughout the calendar year. Check out our LinkedIn and Twitter pages, or the news section on this website to see where we will be apppearing next! We currently export to more than 80 countries worldwide, but we are always looking for new opportunities in new markets.